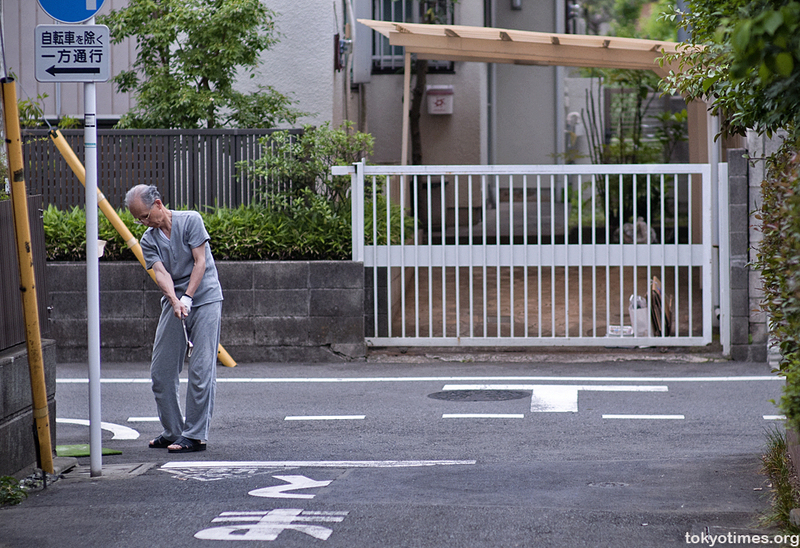 Tokyo 2020: A modern Olympics in a modern city? 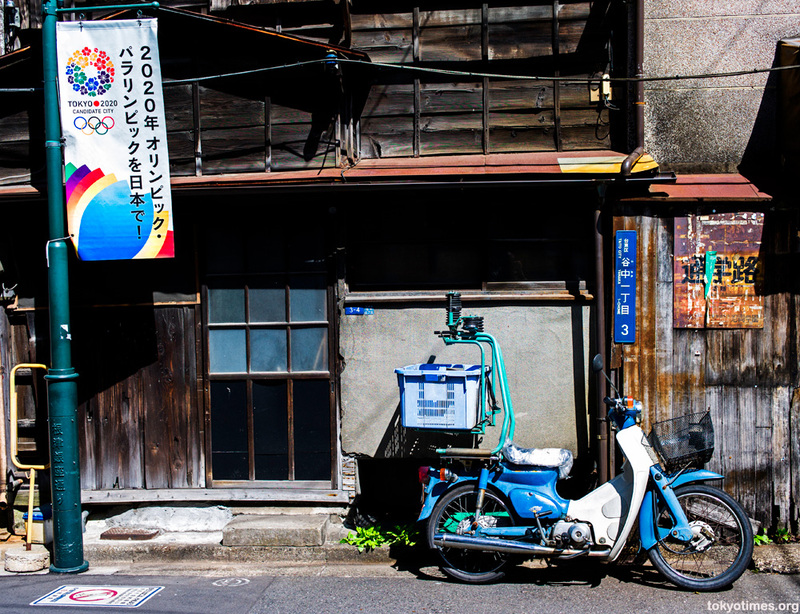 In the Japanese capital’s on-going quest for the 2020 Olympics, Tokyo governor and chairman of the bid, Naoki Inose, sadly proved with his slight against Muslims that many attitudes in Japan are nowhere near as modern as the games Tokyo would like to host. Thankfully, however, the city itself is. Sort of. 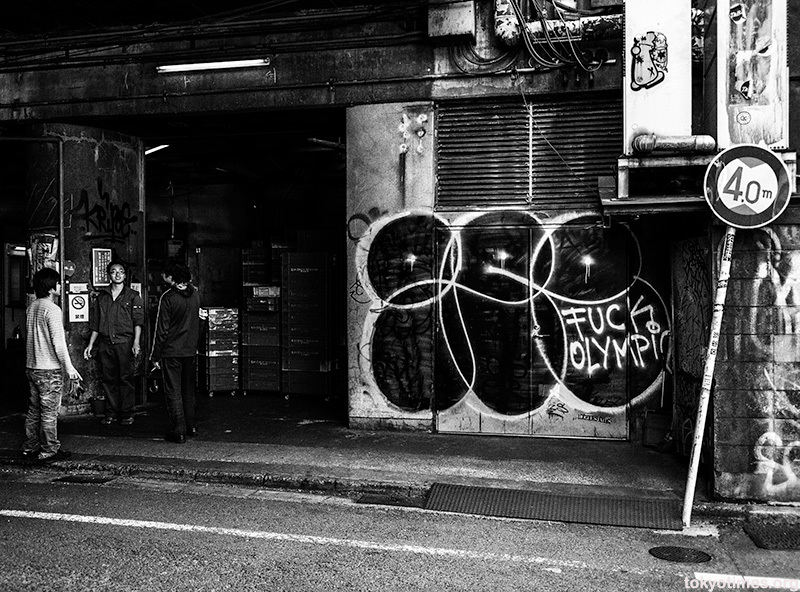 Tokyo is now the bookies’ favourite to host the 2020 Olympic games ahead of Madrid and Istanbul, prompting its bid leader to confidently claim that, “London 2012’s success can be Tokyo 2020’s gain”. But, despite the undeniably positive summer showcase of the British capital, not everyone in the Japanese one is quite so enamoured. So much so in fact, that some have resorted to direct. Not to mention succinct. Dissent. 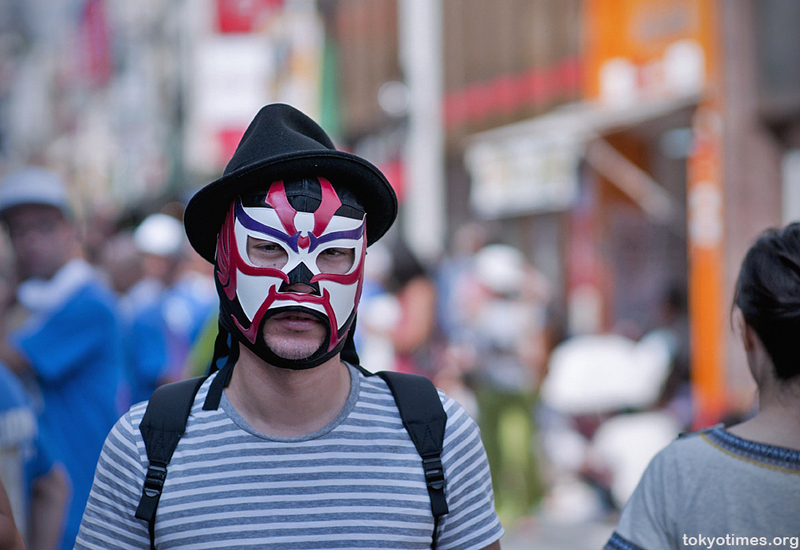 A Japanese wrestler in a mask walking around Tokyo? When out and about in their work gear, office staff and the like are lucky in that they can simply blend in, allowing them to go for a few post-work beers or do a bit of shopping without garnering even a second glance. Wrestlers, on the other hand, really don’t have it so easy. Like the poor fella below for example. The hat is a lovely touch, and the backpack could well be perfect for carrying his cape, but he’s still not exactly what you’d call inconspicuous. 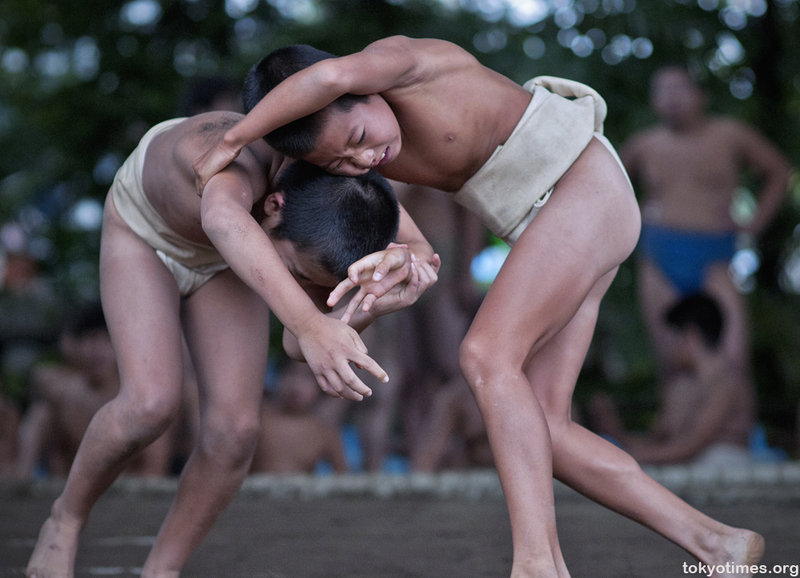 From a personal point of view, sumo has quickly gone from a sport that I followed enthusiastically, to one that sadly I now pay very little attention to. The treatment and forced resignation of an admittedly controversial but at the same time colourful Grand Champion, and then the far more worrying revelations of match-fixing, have arguably made it a sport in the very loosest sense of the word, as well as one mired in small-mindedness and criminality. Rather harsh criticism perhaps, but along with the aforementioned issues, and a complete lack of Japanese winners (let alone Yokozuna) for many years, has caused local fans to also turn their back on the sport, with ticket sales down and interest at an all-time low. 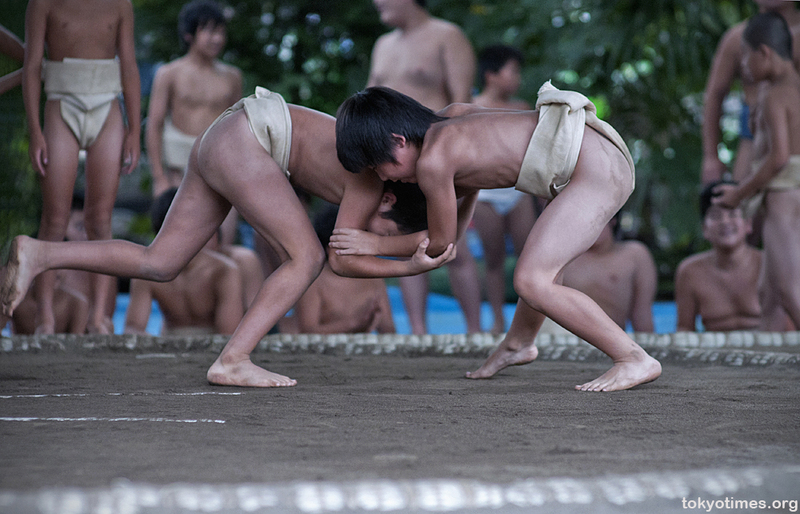 Yet despite this, and in 2007 the Japan Sumo Association suffering — for the first time in its history — a total lack of applicants from would-be Japanese wrestlers, there is still hope. Yes, it’ll never be able to compete with baseball and soccer in the coming years, but some youngsters are still interested, and if the passion and commitment of the kids pictured below is anything to go by, then sumo is very much alive and kicking. Getting ready for their turn in the ring, the young lads in question waited patiently in order. And although there may have been some nerves, there was also an awful lot of fun to be had while watching the other bouts. But, when it came down to business, there was no more silliness — none whatsoever. Until there was a fall. Making it an event that was competitive, fun and controversy free, as well as a spectacle for all the right reasons. Something those running the sport could do with recapturing – quickly. 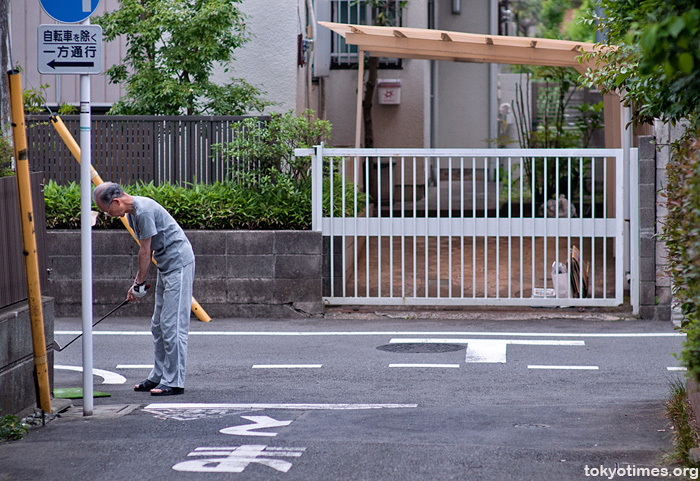 Green net surrounded driving ranges are fairly common in Tokyo, creating shocking eyesores as well as places of worship for the capital’s golf lovers. Multi-tiered venues that allow avid players to hit a few balls without having to leave the city; not to mention save a small fortune on exorbitant green fees. However, that said, the capital itself does actually have a few courses, and the fella below lives fairly near to the hyper-exclusive and preposterously expensive, Koganei Country Club. So despite his lounge wear, he could well be absolutely loaded, and has simply hit the most wayward of wayward shots. Or alternatively, he’s just having a nice gentle knock of urban golf round his neighbourhood. Quite possibly concluding in an unsuspecting Suzuki-san’s garden. After years of refusal, I recently popped my baseball cherry; a friend to explain the rules, and tickets for the wonderfully old Jingu Stadium, eventually proving just too much. Despite having a good day, however, it’s safe to say that it certainly won’t be dislodging football and cricket from my sporting affections. And, when it comes to television coverage, I’d still probably prefer a bit of kabaddi before bothering to see what’s happening at the ballpark. Not live though. No chance. Yes, baseball drags on. Bits of it are incredibly boring too. But, and this is an absolutely colossal conjunction, there are beer girls. And, to paraphrase a suitably-related movie, if you call them, they will come — positively laden with lager.